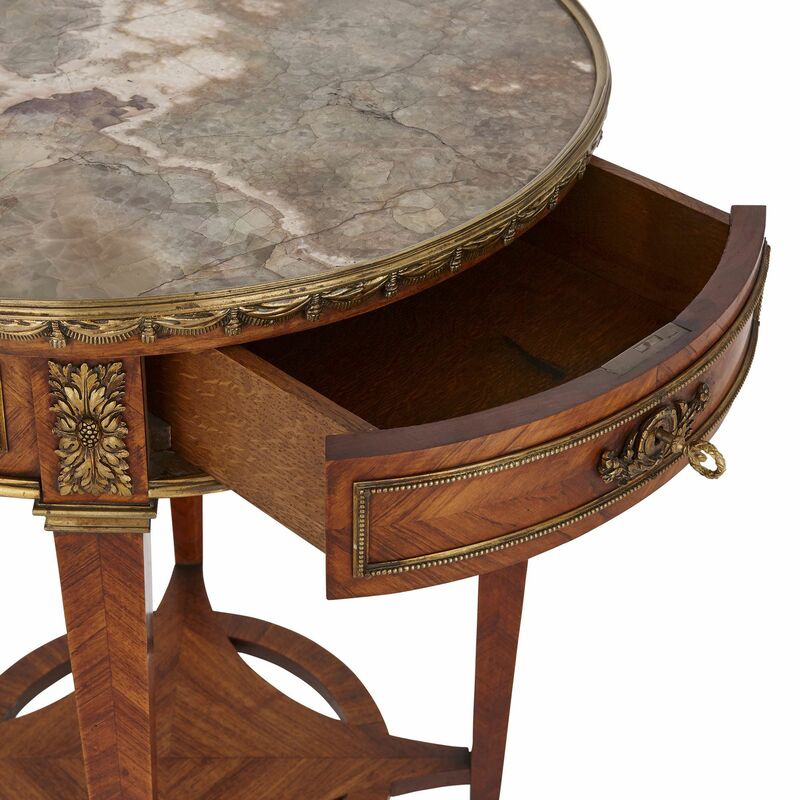 With its high-quality decorative ormolu mounts and fine fluorspar gemstone top, this kingwood guéridon is an exceptional piece of antique French furniture. 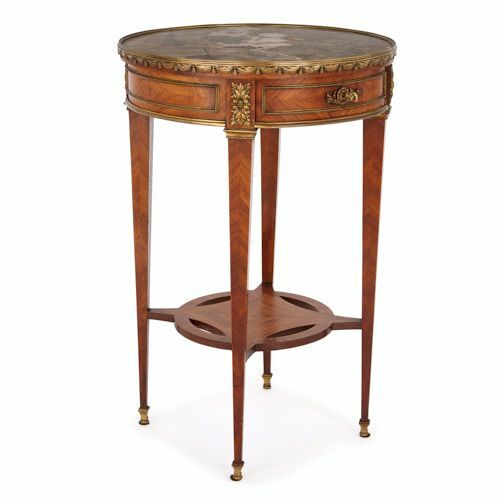 The guéridon (circular table) stands on four tapering rectangular legs, which are set on ormolu (gilt bronze) bun feet. 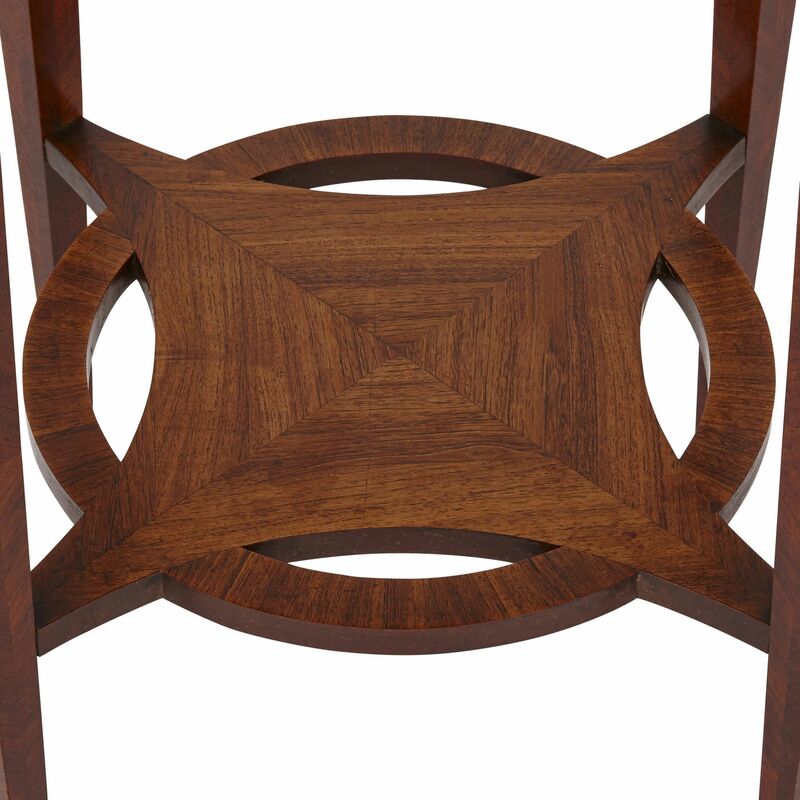 These legs are linked by a stretcher, with a circular and diamond shaped centre. 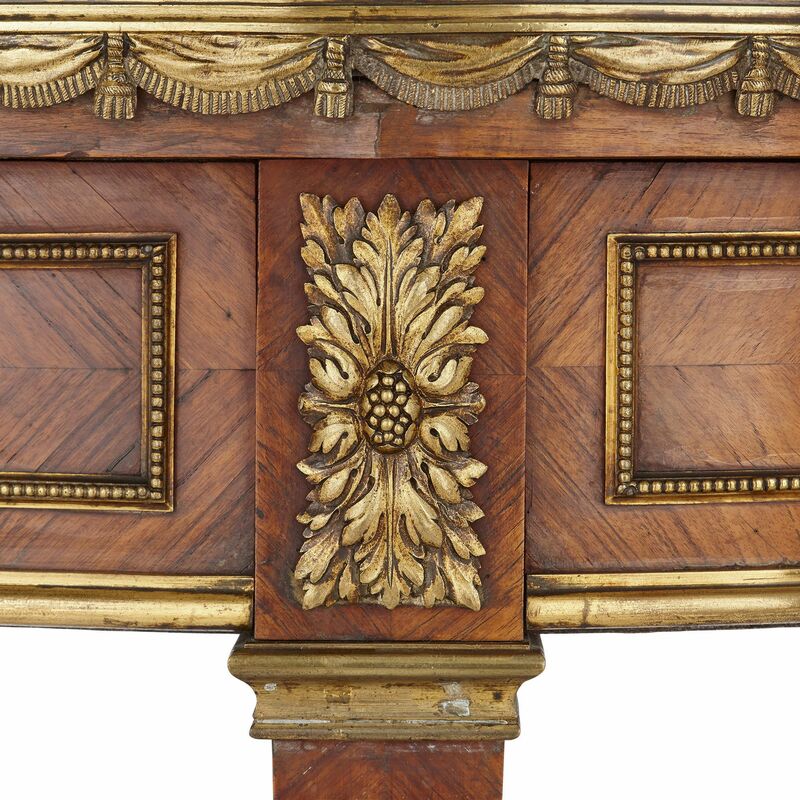 The four legs support a frieze, the front of which contains a drawer, which features a floral ormolu escutcheon (keyhole). The frieze is mounted, on its joints with foliate ormolu motifs, and on its body with rectangular beaded ormolu frames. Its upper edge is decorated with an ormolu band, cast as a tasselled curtain. The guéridon features a green fluorspar (or fluorite) gemstone top. 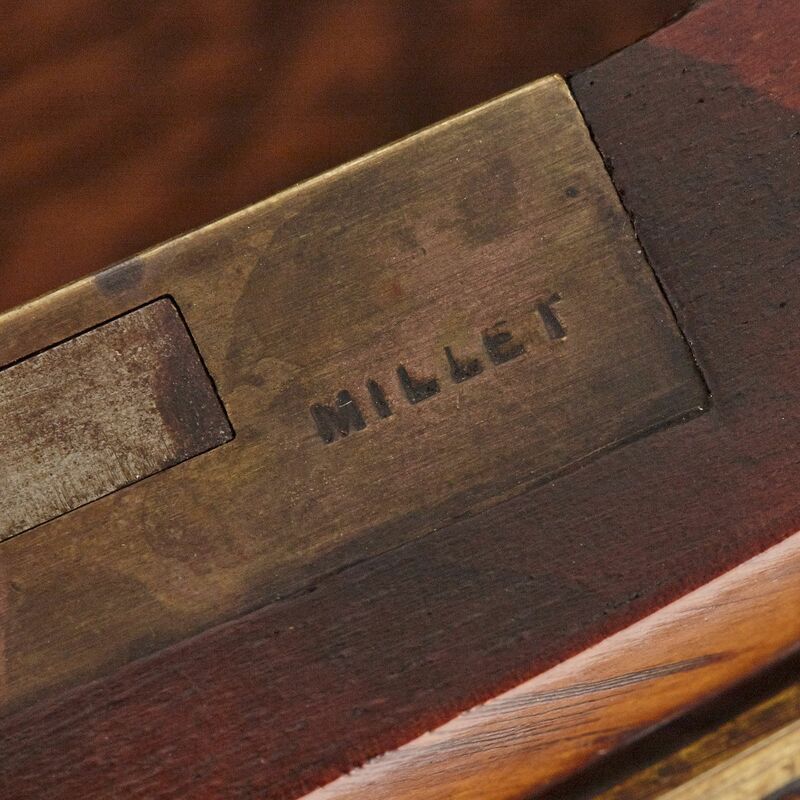 ‘Millet’—for ‘Maison Millet’, the manufacturer—is signed onto the lock-plate of the drawer. 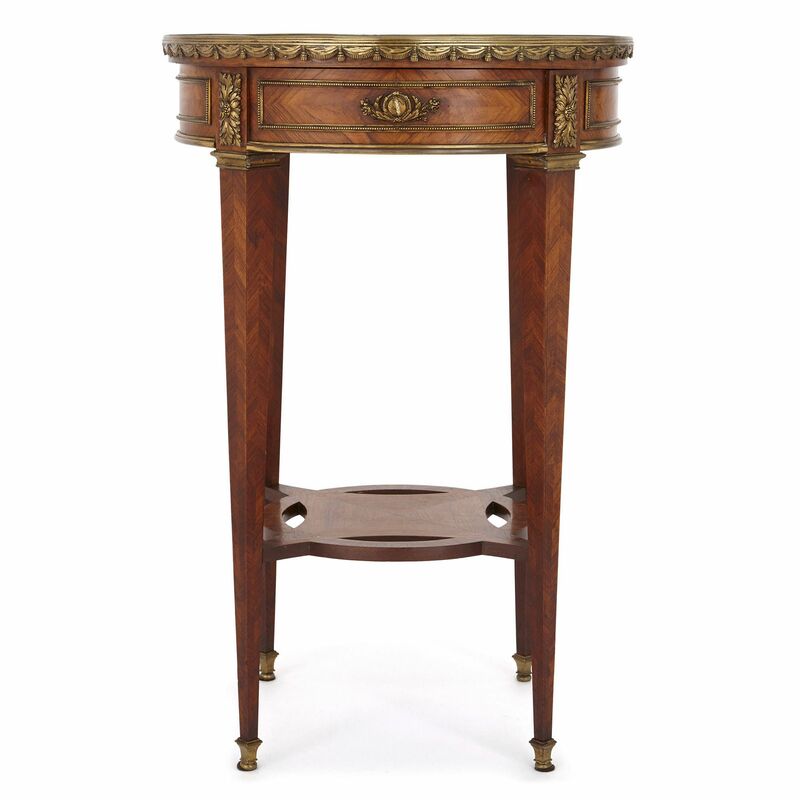 Founded by Théodore Millet in the mid-19th Century in Paris, the Maison Millet specialised in the production of ‘meubles de luxe’ (luxury furniture), which were often designed in the 18th-Century Louis XV and XVI styles. The company won multiple awards for their work, including a gold medal at the Paris Exposition Universelle of 1889.